Today I welcome Violetta Rand, author of the Historical Romance novel, Blind Allegiance, who is touring with Goddess Fish Promotions. Violetta will award a $25 Amazon Gift Card to one randomly drawn commenter during her tour. No matter where or what I’m doing, I’m plotting, jotting down tidbits from witty conversations, or simply observing my environment through a writer’s lens. It’s wonderful. And overwhelming. Writing is my release and sanctuary. So it ranks REALLY high in my life. I recently started writing full time. That changes your perspective a bit. Now it’s my job to sit down every day and be a productive author. It started in my childhood as an escape. I’d scribble short stories or poetry, then share them with family and friends. In college, term papers came easy for me (I’d wait until the last moment and finish a 20 page research project in three days). As a scientist, long technical papers challenged me to write from a different point of view. Writing has always been an integral part of my life and careers. After Blind Allegiance released, I relaxed more. But it also deepened my respect and admiration for all writers. This isn’t an easy enterprise. And it’s surprisingly addictive. I’ve become an editing fiend. A romance junkie. And a word-engineer. So much for life ever being the same again. I wouldn’t trade it for anything. I’m in love with it. And considering my lifelong passion for books in general, it’s no mystery why I ended up where I am. Betrayed by a brother she hardly trusted before the bloodthirsty Viking, Jarl Randvior Sigurdsson, attacks her home, Noelle Sinclair is conveniently bartered as a means to save her cowardly sibling’s skin. Forced to leave her homeland and accompany the petulant Viking to the untamed wilderness of central Norway, Noelle is ever-aware of the burgeoning dangers around her—including her weakening resolve to resist Randvior. Should Noelle surrender to his resplendent charms and seduction, or fight with every ounce of strength she possesses to get home? She covered her face, blocking Randvior’s eyes from her own. She was only guessing—which never served anyone very well. She whirled, retreating full speed, heading directly for the cabin. She collided with a soldier. Noelle shoved him away in a huff, and tripped over her own feet as she stumbled through the door. She slammed it shut, barricading herself inside. Confinement was the only escape at her disposal. But that only lasted a few minutes. Randvior tried to open the door. She braced her legs, hoped to keep the rest of the world locked out until they reached Norway. Randvior twisted the knob and pushed, but she stayed stubbornly locked in position. He banged on the planks and demanded she open the door. If she refused any longer, he’d probably just kick it down. She braced herself for what might happen when he came in and reluctantly stepped aside. “What happened out there? Did you see a ghost?” he asked, entering the room. “I would consider myself most fortunate if it was only an apparition taunting me.” She sat on the bed and wringed her hands nervously. “My conscience troubles me.” She raised her eyes to meet his. He leaned against the door frame, arms crossed. She couldn’t keep herself from sneaking admiring looks at his body. Only flesh and bone, she reminded herself, he’s only flesh and bone. 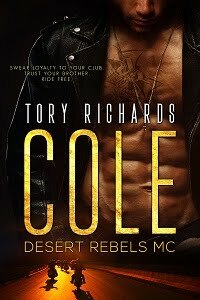 His fine looks did little to relieve her; she was so helplessly riddled with guilt, she didn’t know what to do with herself any more. What she really wanted were assurances for her future. She wanted him to vow he would care for her life as loyally as he would his own kinswoman’s. If he wouldn’t make her his wife, he should choose someone else. She needed a husband to protect her interests now. Even an inexperienced adolescent or an old man would do. As long as he had a pulse and a respectable name, she’d accept it. This was the only bargaining chip she had left. Violetta Rand holds a bachelor’s degree in Environmental Policy and a master’s degree in Environmental Management. Serving as an environmental scientist in the state of Alaska for over seven years, she enjoys the privilege of traveling to remote places few people have the opportunity to see. Violetta has been “in love” with writing since childhood. Struck with an entrepreneurial spirit at a young age, at five, she wrote short stories illustrated by her best friend and sold them in her neighborhood. The only thing she loves more than writing is her wonderful relationship with her husband, Jeff. She enjoys outdoor activities, reading whatever she can get her hands on, music, and losing herself in the ancient worlds she enjoys bringing to life in the pages of her stories. *Leave a comment for Violetta for a chance to win a $25 Amazon Gift Card! Thank you for such a fabulous excerpt. I especially loved that last paragraph. It shows her desperation. It's been a lovely tour! I'm so glad I heard about you and about blind allegiance! It's been a blast! Good morning Mary. Thanks so much for following the tour. I appreciate your time Shannon. Enjoy the book. Hello Bobbye, have a great weekend. Happy reading. Thanks for participating in the tour Andra. Great excerpt, thank you. I have enjoyed the tour, it's been fun. I love the "word-engineer" phrase...very evocative. Thanks for being a constant companion Ingeborg. Greetings Karen. Thank you for taking the time to follow the tour. LOL Catherine. Thanks so much. Cant wait to read this book. Adding it to my read list. Hi Laura. I hope you enjoy Blind Allegiance. Thanks for commenting. 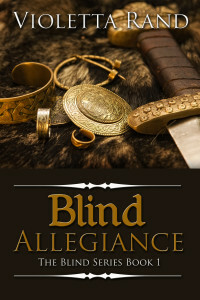 Congratulations on the publication of Blind Allegiance and a very successful book tour! Thanks for sharing all of the interesting information. You are brave to live in Alaska! I moved from Minnesota to Texas a year ago because I couldn't take the cold anymore. Thanks Book Lady. I'm so glad you visited my last stop on the tour. Hello Leanna. I grew up in south Texas. I don't miss the heat, bugs, or humidity. I do miss the food and people. Quite the move on your part. Good luck. I do love the cold. Thanks for stopping by Kate.